"It's like being on vacation all year long," exclaims bear artist Cathy Lynn Forcino about her home in sunny Florida, on beautiful Tampa Bay. “Living on the water is a dream come true for me,” she says.“Dolphins, sailboats and an occasional manatee go by and I watch pelicans diving for their dinner, all while creating my bears." 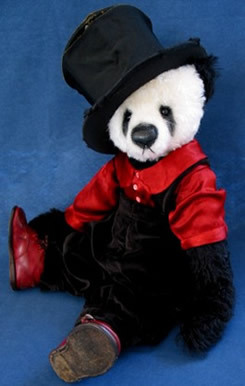 Cathy started her bear career six years ago with a show in Tampa, and sold almost every bear she took along. 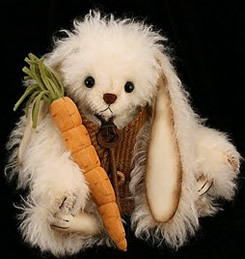 “I do everything myself from the initial design and layout to the finished bear,” she says. 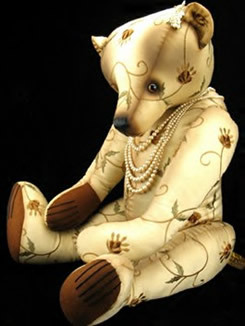 I pour my heart and soul into my work, and every bear is unique; a one-of-a-kind original.” But this attention to detail takes a lot of time and limits the number of bear she can create, so Cathy decided to offer her bears on eBay. 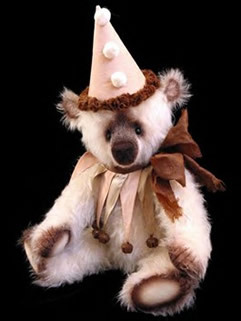 This allowed her to find homes for her bears as soon as they were completed. 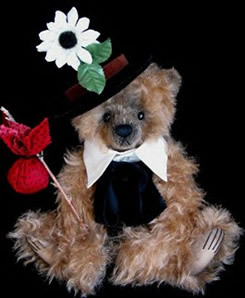 Cathy has a passion for antiques and her designs show the influence of the earliest bears. 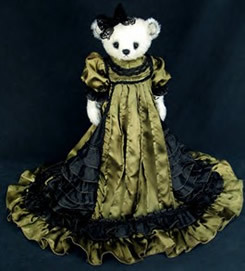 “I stay true to traditional styling,” Cathy says, “But I give my bears a sweetness of expression that is missing in most antique bears. I concentrate on proportion, so that they are equally beautiful displayed with or without clothing. 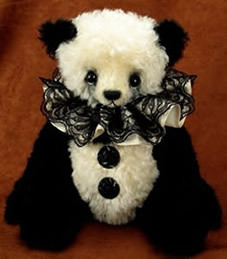 What I prefer is a timeless design, a bear that will become a well-loved family treasure." What does the future hold for this artist? “Lots of trips to the beach!” according to Cathy, as well as lots of trips to her favorite antique shops.